Mackenzie Thorpe will once again be generously supporting The Ambassadors’ Ball at Thornton Hall Hotel by gifting 15 limited edition prints of his latest work You’re My World to raise funds for Radio City’s Cash for Kids. 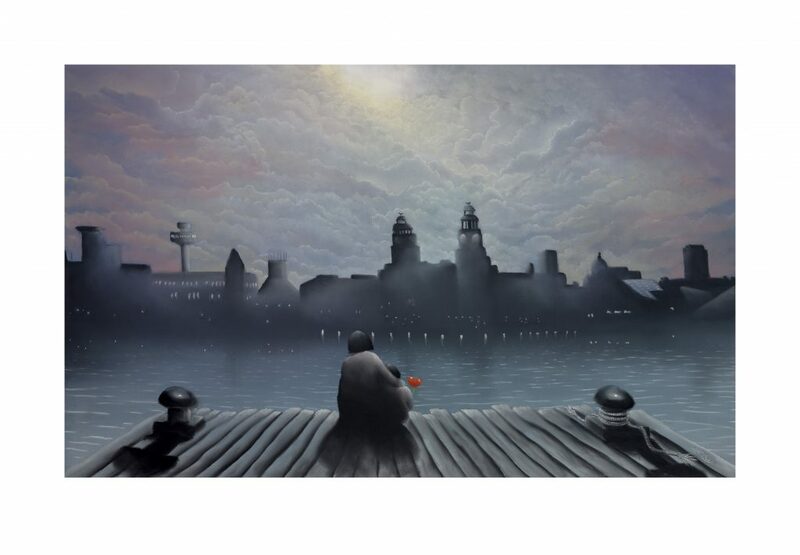 The glorious image depicts a night-time scene of the Mersey, looking towards the famous waterfront skyline. As the lights dance off the river and the moon peers through a dramatic sky to illuminate the iconic Liver Building, a parent and child take in the view. embellished by the artist exclusively for The Ambassadors’ Ball to make this edition of the picture extra special. underprivileged children to have a Christmas party at Gulliver’s World and Liverpool Football Club.